In the US, the rich are getting richer. Isn’t that just great? Doesn’t that mean there is lots more wealth to go round? Or is it good news for the rich but bad news for the poor? The American Dream of equal opportunities and hard work says you can be born in the Bronx and end up at 740. But is that dream still true? 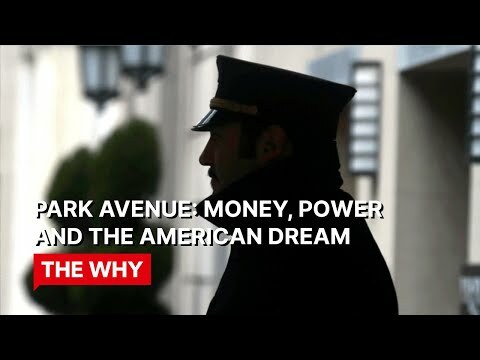 The documentary argues the rich haven’t just bought the exclusive addresses, they have bought the whole system and they’re running it for themselves. A couple of young filmmakers document their friend's online relationship which leads to a series of unexpected discoveries. An eye-opening documentary about Americas failing education system that is sure to spark plenty of debate between teachers and parents. How relevant are the Michelin Stars? This documentary investigates the dramatic effects the classification can have on restaurants. Words, drawings, music and animation all working together in this short film to give us an inside look at those with autism.